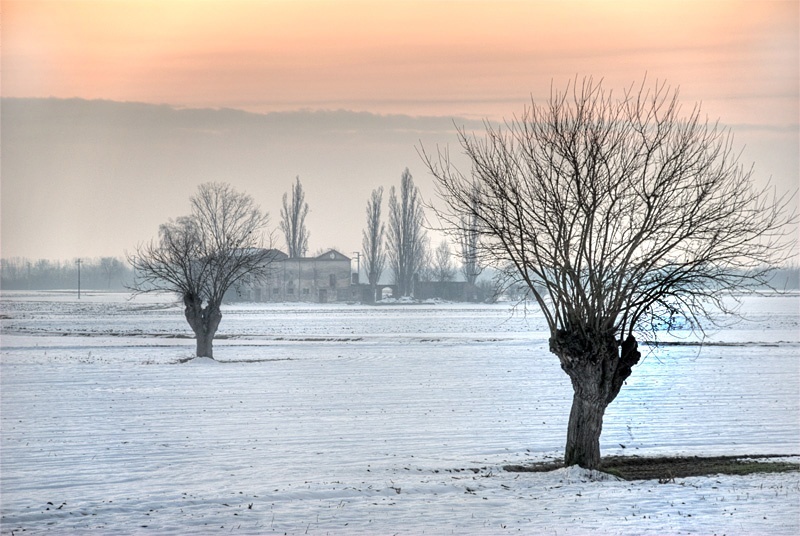 This entry was posted in Color, Landscape and tagged abandoned, autumn, countryside, day, empty, fall, farm, field, HDR, loneliness, morning, naked trees, poles, snow, sunrise, tree, trees, white, winter. Bookmark the permalink. Good point Max about the loneliness. I sometimes wonder about the reasons for abandoned farms – broken dreams? deceased estates? You have framed farm buildings are nicely between the foreground trees. The warm colors in the sky rescue the scene from utter coldness. Actually visually a very pleasant photo. A superb landscape ! Beautiful ! bravo !!!! bella incradatura e un bel effetto soft .. hai usato PS per il fotoritocco ?? ?